With its speak of using algorithms to connect people with the theatre they’ll love, the Stagedoor app caught my attention as a theatre lover who’s always seeking new ways to find shows and companies. The app — a scientific Tinder for theatre makers and lovers, if you will — lets users create a theatre journal of the shows they’ve seen, give ratings to promote what they love and receive updates recommending popular productions based on their network. 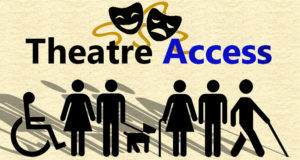 In other words: Stagedoor, in a way, replicates word-of-mouth for the digital community. We spoke with co-founder and CEO Michael Hadjijoseph to learn more about the app and his views on the London theatre scene. Stagedoor is the official partner for the Camden Fringe Festival, which saw a large boost of acts and audiences this year. What drew you to this festival in particular? We had always been talking about how challenging it is for audiences to find the best shows to watch during festivals – there’s usually so much happening and they never run for long enough for word of mouth to spread. So we wanted to build a more ‘social’ festival programme, if you like, where users can like shows they are excited to watch, creating a ‘popularity’ rank. The festival pages were just an idea up until our partnership with the Camden Fringe came about. We had heard amazing things about the festival and how much it was growing. It’s an amazing platform for talent to emerge and gain a following. The next festival we are partnering up is the Vault festival, which we are super excited about. What do you think is the role of Fringe theatre and the Off-West End scene in today’s arts scene? The Fringe is where risks are taken, ideas are born and companies grow. In larger theatres with huge numbers of seats to sell, it is tricky to experiment and be daring. Some of the biggest productions and best known stars were born out of Fringe and Off-West End theatres. That’s what’s exciting about exploring the outskirts of the industry and the unknown. You might be one of the first people to discover the next big thing. As the co-founder of Stagedoor, you must have a great passion for theatre. Where did this begin, and was there one show in particular that sparked your interest? Having grown up in Cyprus, there was never a lot of theatre happening. Luckily my mother, who studied Classics in UCL, was very keen for me and my sister to cultivate an appreciation for the arts from a young age. We were fortunate enough to be able to visit London once a year, every year I can remember. Since then, my appreciation for theatre has grown and evolved away from musicals and more into immersive and contemporary shows. Companies like Punchdrunk and Les Enfants Terribles are really exciting. No two audience members will come out having had the same experience, and the design teams are incredible. What was the inspiration behind the app, and what do you think it brings to both audiences and artists? If you look at every other industry, from music to movies, from restaurants and bars to wine, there are apps or websites that aggregate all information in one place and help people discover what’s right for them. Information about shows is scattered all around the web. We decided to solve this problem with Stagedoor, which lists absolutely every show in London. The app, through its smart interface and recommendation algorithm, gives suggestions based on the user’s personal preferences, as well as based on what their friends are recommending (social recommendations). Most other theatre listing sites and apps are all about ticket sales, last minute deals and big shows. We will always be more about content and discovery. What is your favourite show you have seen recently? A few weeks ago I was invited to see Disney’s Aladdin in the West End, and whilst I usually go for smaller-scale theatre, new writing and immersive shows, I have to admit it was a massive guilty pleasure and a really fun experience. What’s your greatest discovery through the Stagedoor app? This is a tough one, London is bursting with amazing performances that unfortunately not a lot of people hear about. If I had to choose one that really stood out, it would be a cool immersive theatre company called CoLab Theatre, which put on an awesome production earlier this year called CROOKS. It was all done in a warehouse near Bermondsey – brilliantly executed and generally a super fun great value for money evening. If given a year’s free access to every show at one London theatre only – which would you choose and why? 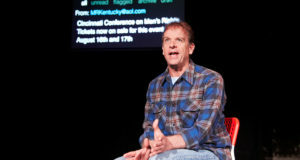 Soho Theatre – They have such a huge range of shows, from straight theatre to comedy and cabaret. They host Edinburgh previews and post-festival transfers, and the standard is solid. What names, shows, or theatres would you encourage people to look out for in 2017? What role do you think Stagedoor will have in bringing these moments to fans? Stagedoor has always been about supporting artists enabling theatre lovers to discover shows they will love. 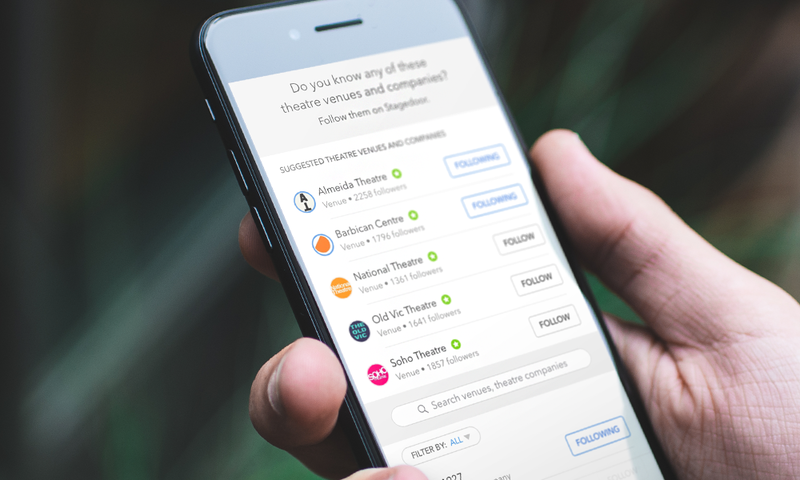 We want to continue doing that, we want to on-board as many venues, theatre festivals and theatre companies [as we can] to start building their presence and following on the app and help their work reach more audiences. You can download the Stagedoor app on iTunes here. Sarah is an actress, writer and musician. She also teaches Comedy, Drama and Singing and spends her remaining time coming up with Dragon’s Den pitches. Her favourite style of theatre is ‘good theatre,’ especially comedies and musicals. Her favourite artists/companies of the moment are Les Enfants Terribles, Kill The Beast and Trygve Wakenshaw. Sarah promises to try not to steal any jokes, or let her envy of amazing shows get in the way of her reviews.